Uner has already left his mark on the electronic music scene as one of the most influencing names from the new generation of Spanish producers. Studying piano and music from an early age helped him later on in his life, develop his own unique electronic music concept. This has lead him to being discovered by Solomun, and having his music released on critically acclaimed labels such Diynamic, Cadenza Music, Get Physical and Visionquest to name a few. This month Uner is back with his latest EP “Different Dimensions”, released on Philip Bader’s label ‘Out Of Mind’. Find out more about the inspiration behind Uner’s productions, his connection with Ushuaia Ibiza and where is he taking his own label ‘Solar Distance’ this year. Being one of the most important names of your generation of Spanish electronic music producers & DJs, could you tell us more about how you got into dance music in the first place? How and what were your first steps in terms of DJing and producing music, and when was the moment you knew this is what you are destined to do? I have been involved in this industry and worked in it for many years. If we are talking about production, I have been making music since I was 15 years old. I am a musician and classical music pianist. I started to study piano at the age of just 4, and from there up to the ages of around 15, I listened to all types of music until my father introduced me to electronic music in particular. At that time I started producing live sets, and traveling with my machines but it was not until later in 2004 that I started to play as a DJ. Have your Catalonian roots played any role in developing your own unique sound? No, not at all. Of course the environment makes your music one way or another. Everything influences your music, but being Catalan hasn’t made my music be one way or another, directly. Maybe if I had been born somewhere else, the whole environment would be different and my music would be too, but it’s a more subjective and indirect concept. You are known for your dynamic DJ sets, infused with so much energy hitting the dance-floor, and your ever-evolving setup of four decks, Ableton Live, dozens of FXs, a sampler and touch controllers! Do you feel like your live DJ setup is complete at the moment or can we expect from you to include something new for your performances? I’ve been working with different setups over the last years. Up until now I traveled with Traktor and controlled it with cdi. But right now I work with 2 different setups. For long sets (long sets including sets that are more than 4 hours) I still use the laptop. It’s a matter of comfort and storage. For 4 hour sets or shorter sets, I use 4 CDJ’s + 2 effects pedals (reverb and delay) + Roland TR9. Also, I’m working on my setup for my Live sets, but it’s something I’m still working on. What will happen in the future? I don’t know, but I’m sure that there will be changes. I love to keep changing and evolving. We know that you are a fan Native Instruments and their products. Which are your favorite plugins and softwares made by the brand? Do you tend to use the presets or you like to dig deeper and synthesize your own sounds? Yes. I love everything that Native Instruments develops and I also like to be involved with their new products. I really like to research new synths and hardware and NI are super interesting in that aspect, apart from the personal relationship we have. I always use their products in the studio. Right now, both Maschine and the entire Kontakt package, or Reactor, are tools that don’t fail in my productions. Plus they are more and more developed and allow me, as you say, to be able to look for my personality in each element as the edition and the sound design is very important for me and they give me all the tools that I need to get as close as possible to those sounds I have in my head. Your latest EP “Different Dimensions” is out on Philip Bader’s label “Out Of Mind” on the 24th of March. Could you tell us how that came together and did you personally pick the remixers in the face of Rob Hes and Christian Burkhardt? Is there a reason for selecting them and for the fans, who haven’t heard the EP, how would you describe the overall sound of it? Yes, I am very happy to collaborate with Mr Bader again! The remixes have surprised me a lot. I love each of them, as they all tell their own different story, and are all different from the originals in many ways. Some are more tech house, and others techno, whilst using some new creative and very organic sounds which I adore. I think the package as a whole is very strong, varied and perfectly balanced for the release. I love all the artists on this package, so it was a decision made by myself and Philip as to who we think was a right fit for the sound of the EP. Let’s talk about your label “Solar Distance”. What inspired you to start your own label and what is the story behind the name of the label? What are the goals behind your Solar Distance label in 2017? Solar Distance is a personal trip. It is the home we have created to develop different and personal sounds and where unknown artists have their opportunity to release music. We don’t relate the music to tags or names. We simply listen to it without thinking who’s behind it. If you have a nice story to tell with your music, we release it, regardless of who you are or where you come from. That’s Solar Distance. And that solar distance is the way to go to reach the light. An eternal distance, where the important thing is the way and not the beginning or the end, but everything that you find during the route. For this 2017 we have great new artists and repeaters 🙂 The next releases come from Sis & Alex Kennon with a remix of mine and from Squire, another Spanish artist and friend who has been making super interesting music for a long time. We also have names like Fernando la Greca who is an analogue magician and many more. And of course 2 more EPs of mine will be coming out, but the other guys are more important. You mention in an interview to Beatport, that in your Solar Distance label you are focused on releasing music from new and upcoming artists, because they are the future. Is there someone, who you can say played a major role in your career when you were an upcoming DJ? Someone who believed in your talent and supported you. Yes. As I said, I believe in the support among artists and all of us being united is what can make our scene stronger and stronger and that can let us work more professionally and with more freedom. I have been lucky enough to learn from great artists such as Solomon, who was the first to release my music on his label Diynamic. I learned a lot from them. Carl Cox, who took my name to Ibiza, that magical island that gives us so much. Luciano who catapulted my sound around the world and who made my journey join with my now manager and best friend, my partner, my brother, Alex Montoya, who this journey would be impossible and different without, or Garnier, who being so great has always taught me that being humble is the most important thing behind all of this and a long etcetera that goes on and on. As I said, I feel VERY lucky to have lived all this time and learnt from so many. Coming back to your label, what qualities are you looking for in a track in order to sign it to you? Will you be focusing on one particular sound or can we expect a broader scope of electronic music genres to be released on Solar Distance in the future? I don’t like to relate music to tags or names. I just listen and feel it. If there is a good story behind it, if you have something special to tell in your music, we will release it. We want music with soul and passion, artists with a special truth, transparent people with a big heart. That is the most important thing for the music to be released on Solar Distance. What are your plans for the summer season? You just announced that you will be playing Ushuaia’s opening party ‘Paul Kalkbrenner presents Back to the Future’, with a staggering lineup including yourself, Paul Kalkbrenner, Andrea Oliva, Davide Squillace b2b Martin Buttrich, Eats Everything, Francisco Allendes, Raul Rodrigues and Steve Lawler. How do you feel about being part of the opening and coming back to Ushuaia, where you have played so many times, especially the United Ants parties over the years? Summer is going to be crazy again. We have a lot of festivals this year and we will be on the island a lot with the Ants colony and some other special appearances, but mainly at Ants. Also, the studio schedule will be complete, as I said before, focusing on the production of the album as there’s a lot of work to do due to the number of collaborations of musicians who will working with us on this project. Can you say you have grown a special connection with the Ushuaia club now, after playing there so many times over the years? What is it about both the club and the United Ants parties that you feel most compassionate about? There is a real special connection with the island, and of course with the Ants. We have been involved with this brand from the very beginning, from the first second of its existence. But it is no longer just a question of just a relationship with the brand but also a personal relationship with the whole human team behind it. They’re people who take great care of us, who think and respect both me, my manager and my team. And of course, the respect is mutual! And above all, admiration for all of the hard work put into each event. If we add to all of that, the special connection with the island, summers are always magical and full of new and intense experiences to remember, which helps a lot in the musical inspiration. What more can we expect from Uner in 2017? From my side, hard work and effort to try to take electronic music to every corner of the world. I always say that to make this type of music communicate to your fans and advance over time you have to do it fighting from the front, not from behind. You have to leave your comfort zone and fight, because every day there are more people loving the less commercial sounds. So we need to carry on with this. 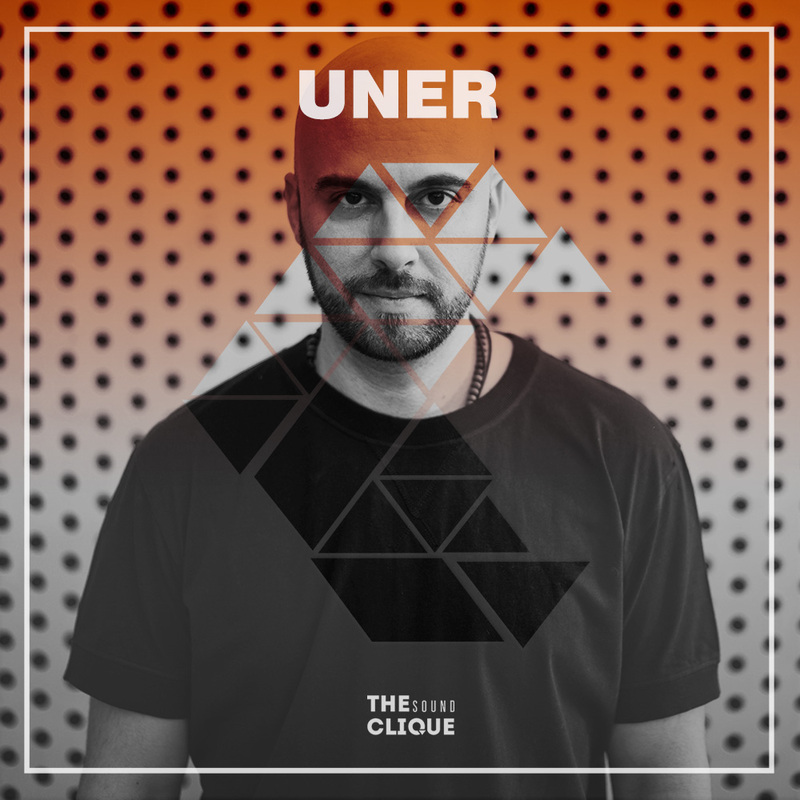 Connect with Uner on Facebook and SoundCloud and follow his upcoming gigs here.